A native of Newark, New Jersey, Rev. 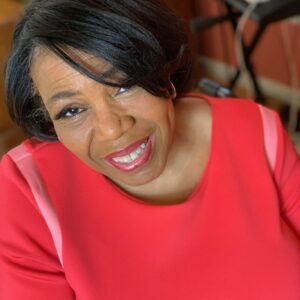 Stef as she is affectionately called, is the artistic director & founder of the Grammy-Award winning choir, Jubilation; and has built her life and career around music. Upon graduating from Newark’s prestigious performing arts high school, she obtained a Bachelor of Arts degree in music performance with a certification in music education from Kean University. Afterwards, she spent nearly 30 years teaching some students to love music and nurturing the passion others had for music as a vocal education teacher in the Plainfield Public School District. Rev. Stef also holds a Master of Theological Studies degree from Drew University Theological Seminary and a Doctorate of Ministry degree from the United Theological Seminary. In addition, she was ordained as a minister in 2002, and serves as an associate minister of the Community Baptist Church in Englewood, New Jersey. A member of the National Academy of Recording Arts and Sciences (NARAS), Rev. Stef can nominate and vote for other artists to be awarded the prestigious Grammy award. As a sought after vocal coach, composer and vocal arranger, she has also authored and catalogued more than 100 songs. Rev. Stef has numerous television appearances to her credit. She’s also been featured in various periodicals, including USA Today, The New York Times, Star Ledger, and the New Jersey Monthly Magazine, among numerous others. She is also the recipient of numerous awards including 2010 proclamations from Newark Mayor Cory Booker and the New Jersey State Assembly; she is also the recipient of the City of Newark’s coveted Medal of Honor. In 2011, the Center Jersey Chapter of Delta Sigma Theta Sorority honored her as a Woman of Achievement. Rev. Stef formed the acclaimed choir, Jubilation, in 1998 at the request of New Jersey Performing Arts Center (NJPAC) CEO Larry Goldman and Newark Councilman/Assemblyman Donald K. Tucker. 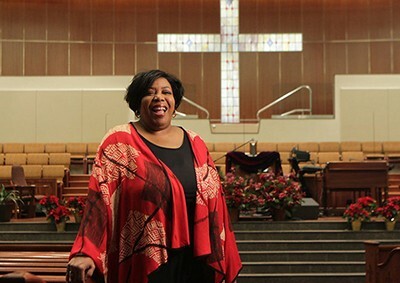 She has led the choir in numerous performances nationally and internationally since that time. Rev. Stef has been blessed to work and record with several renowned sacred and secular music artists, including Queen Latifah and the iconic Ray Charles. She remains steadfast, relying upon the strong qualities modeled and instilled in her by family. Her many influences include her maternal grandmother Hattie Mollie Tucker, her mother Pearl Tucker Minatee, and her uncle Civil Rights champion Donald K. Tucker. When Rev. Stef is not ministering through Jubilation, she spends her time facilitating workshops, retreats, and seminars for Christian growth and renewal. She also has a special affection for teens and the elderly. One of her favorite slogans, coined by Bill Cosby, “As you push forward, pull from behind.” Rev. Stef’s life and work is proof that she does just that.